Saying the Federal Communications Commission has steadily become “less transparent” with the lawmakers tasked with its supervision, top Democrats on the Energy and Commerce Committee urged their Republican counterparts on Tuesday to immediately schedule an FCC oversight hearing that’s nearly four months overdue. In a letter to majority leaders sent today, U.S. Representatives Frank Pallone, Jr. and Mike Doyle note that Republican leaders had committed to holding quarterly FCC oversight hearings. But only two out of six hearings were actually held. The last FCC oversight hearing was in October 2017. What’s more, the FCC has refused 26 times to fully respond to letters sent by Democrats charged with supervising the agency, the Democrats said. “Unfortunately, over the past few months, the Commission has become less transparent with the legislative branch, altogether frustrating any attempt at our Constitutional responsibility to oversee the agency on behalf of the American people,” the lawmakers said, in a letter addressed to Republican Representatives Greg Walden and Marsha Blackburn. 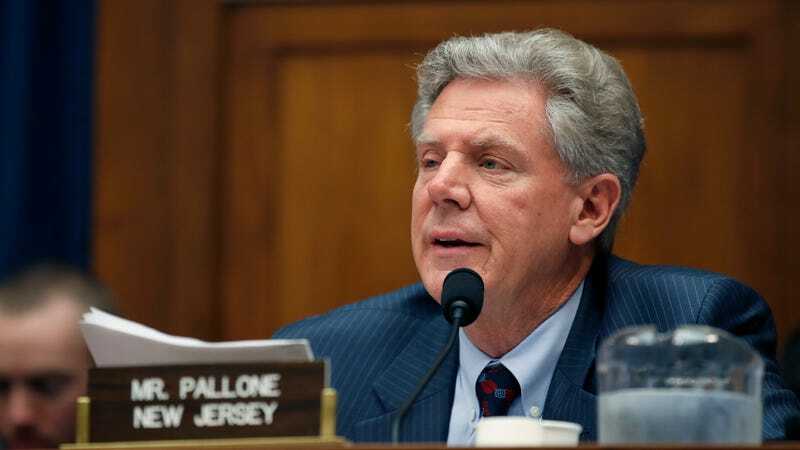 Walden is chairman of the Energy and Commerce Committee, where Pallone is the ranking Democrat. Blackburn is chairwoman of the Communications and Technology Subcommittee, where Doyle is the ranking Democrat. For a year now, Democrats serving on oversight committees have been raising questions about why the federal agencies they oversee have stopped responding to letters and informal inquiries passed along whenever agency officials fail to respond sufficiently to questions during committee hearings. The Trump administration’s response to these inquiries had been unusual. In May 2017, the Justice Department’s Office of Legal Counsel drafted a four-page memo for the White House essentially reiterating that Democrats, being in the minority party, have no authority to demand a response of any kind from the executive agencies they oversee. An Energy and Commerce Committee spokesperson told Gizmodo that the FCC has been uniquely unresponsive—in that, it tends not to simply ignore the Democrats, but to reply to their letters in ways that fail to actually address any of the key concerns being raised. “We are concerned that you have been unable to give complete responses to verbal questions, questions for the record, or oversight letters from our members,” the Democrats wrote in its letter to Pai last month.